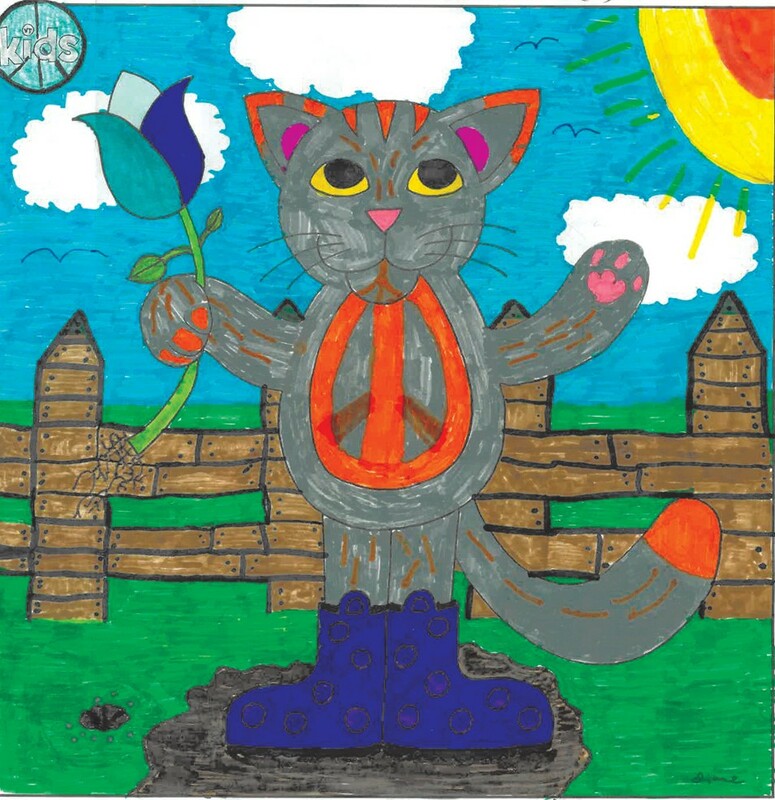 Our amazing artists welcomed spring’s arrival with their colorful entries this month. Five-year-old Jack’s brilliant masterpiece included a lemon-yellow sun, rainbow and a tiny mouse in one corner. Hazel, 10, sprinkled raindrops over green mountains and a red barn. 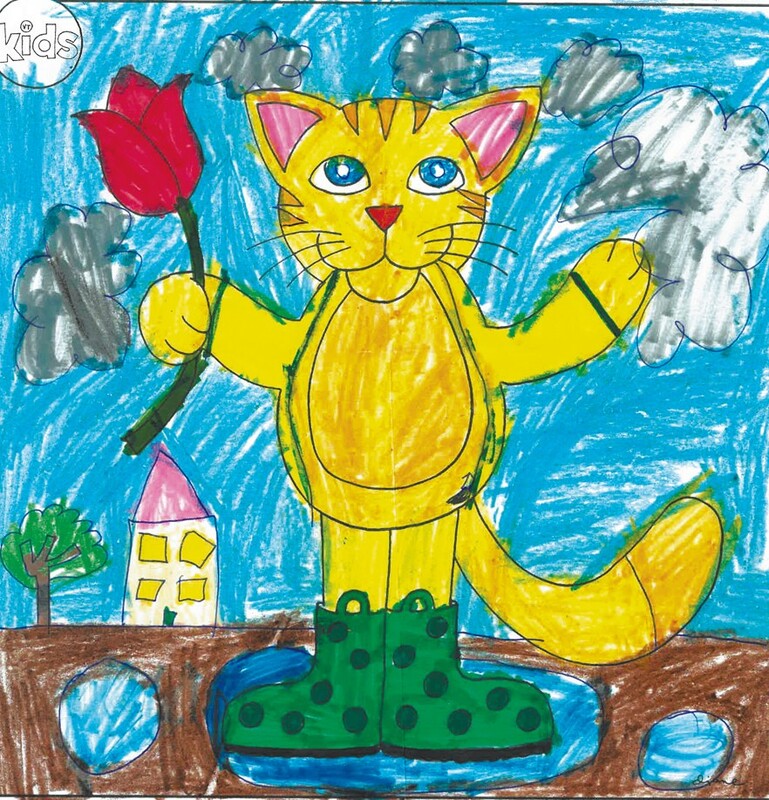 Her kitty sported pink rain boots and held a red umbrella and matching tulip. 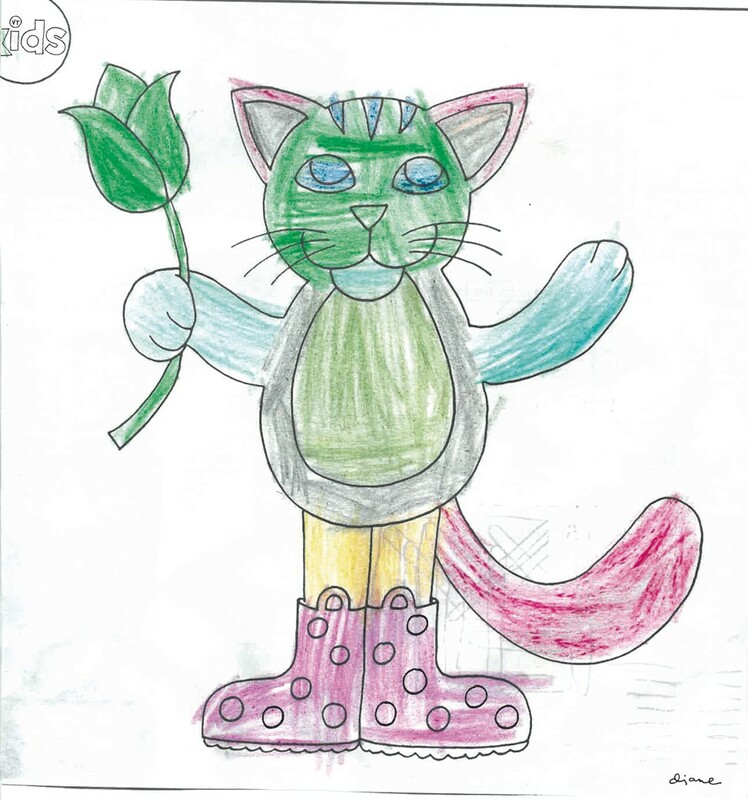 Amelia, 6, made our judges laugh out loud; her cat clutched a fish skeleton in one paw. Kudos to everyone who entered! Send us your best again this month. Find the May coloring contest in the Just For Kids section of the May Baby & Maternity Issue. Send us your entries by May 15!